If you were to rank different types of pain, in order of most to least annoying, skin tag pain would be right at the top, as there’s nothing worse than the constant itching sensation that you get from skin tags. In this article, we will be exploring the health threats that skin tags pose, as well as the best methods for getting rid of them. 1.1 Why does my Tag suddenly Hurt? 1.2 How to Treat Skin Tags? Before we can look at how to treat pre-existing skin tags, we first need to understand what they are, and how we can prevent them in the future. Skin tags are small growths that can appear anywhere on the body. They are usually formed on moist areas of skin, such as armpits, around the breasts and they are particularly common in areas where skin may come into constant contact with your clothes. Although skin tags can grow on anyone, people who suffer from diabetes, are elderly, or pregnant are more likely to develop them because of how their hormone levels change, however, they aren’t particularly fussy when it comes to where they grow and who they grow on. Not sure if you have a skin tag or not? Get in touch with us down in the comments below and we will try and help! Why does my Tag suddenly Hurt? Skin tags can go from simply being unwanted skin features to being incredibly painful growths in a matter of seconds, which is largely down to the way they grow on the skin. For example, if you have a tag on your neck and it gets caught in your shirt when you take it off, then it is going to rip off and leave you in a great deal of agony. One way to prevent this sudden pain is to be incredibly careful around notable skin tags, making sure that they come in contact with your clothes and other objects as little as possible. As well as causing physical pain, contact with your clothes can also make your growths turn from their normal brown color, to a bright, throbbing red and, at the same time, swell up to a bigger size. So, to summarize, skin tags can go from being dormant to active incredibly fast if you happen to snag them on something, or if they are rubbing against your clothes too much. Have you developed a new tag even after trying this? Let us know and we will try our best to advise you. How to Treat Skin Tags? After years of studying and practicing Dermatology, I have seen hundreds of guides on “The best way to remove skin tags”, however, most of them simply aren’t true and some of the tips that these articles suggest can actually make your skin condition worse. I know how much skin tags can hurt and over the years I have personally tried and tested hundreds of products that claim to help remove painful skin tags. I highly recommend using one of the following products, as I have seen fantastic results with them myself! One of the best way to completely remove your painful and annoying skin tag is to use a remover device, such as the Micro TagBand. Tag removal devices work by cutting off the tag’s blood supply completely and effectively killing it off. They are so good because they work literally all of the time and results can be seen within a few days, which is fantastic. We have tried many different tag remover devices, but we found that the Micro TagBand yielded the most consistent results, which was largely down to the way the actual device ties small rubber bands around the tag, which is what actually causes it to fall off. Included in the package is the device itself, which is rated for use with small to medium-size growths, a TagBand cone, and 20 bands, which is more than enough to remove any tags that you may have on your body. Overall I think that this is an incredibly useful device to have and it certainly does the job. Results are quick to show, and the 20 included bands are more than enough to clear your skin of the pesky tags! Treat your skin tags now with the help of a Skin Tag Remover! Another fantastic way to remove your irritating skin tags is to use Tea Tree Oil, which contains antibacterial and anti-fungal properties that dry the skin tag and stop the flow of blood, causing it to fall off, just like the Skin Tag Remover. As well as removing any skin tags you may have, the Tea Tree Oil also helps to reduce any pain or itching you may have, due to its anti-inflammatory properties. It also helps to refresh and replenish your skin which prevents the growth of any tags in the future, as well as making your skin smoother and softer in general. If you are looking for a way to, not only treat your painful skin tags, but also revitalize your skin, then I highly recommend you try using Tea Tree oil, as the results truly are fantastic. Treat painful skin tags and moisturise skin in one go! If you didn’t like the look of Tea Tree Oil, but still wanted a natural remedy for your painful skin tags, then this is the product for you! After weeks of testing a huge range of remedies, this, alongside Tea Tree oil, was the only oil that actually left us with smooth skin at the end of the process, which is why you should seriously consider picking some up. It works by utilizing a special homeopathic ingredient, which kills off the skin tag little by little, causing it to break of one bit at a time. Although this sounds like it may be slower than something like a skin tag remover device, it does leave you with the better-looking skin at the end of it because of the unique, natural chemicals it uses. We strongly recommend that you join over 750,000 happy users of H-Skin Tag Formula, as the results are amazing. In case you are, for some reason, unhappy with the formula then the manufacturer, who has been in the industry since 2001, will give you a full refund within ninety days. 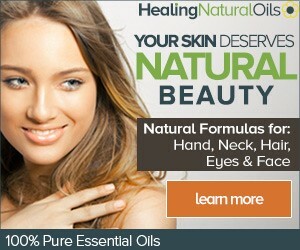 Repair your skin & get rid of skin tags now, with the help of H-Skin Tag Formula Oil! If the previous three solutions weren’t to your liking, although we have to say they are both incredibly effective, you may want to use skin tag removal cream. The cream functions in a similar way to the Tea Tree Oil as it works by reducing the tag’s blood supply, which causes it to drop off. There are many types of “growth removal creams” available online and after trying out a few of them, we can safely say that HaloDerm All Natural Skin Tag Removal Cream is by far the best, as it offers reliable and consistent results. Included in the box is a whole set of tools that help you to apply the cream to the target area, which is a nice inclusion. Overall this is a great alternative to the Tea Tree Oil and the removal device, although all three are fantastic. Read some of the 300 positive customer reviews here. Hopefully, you have taken a lot away from this article. We went over exactly what skin tags are, including where on the body they are most common; what causes them, as well as how to prevent them; and most importantly, how to get rid of skin tag pain.